These details should inform you what’s cool, going on, cooking, and coming up. Please let us know what you think about it! 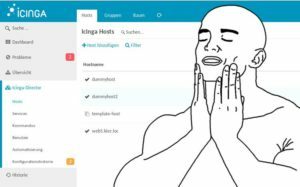 We’ve debugged Icinga 2 in the past month quite in deep at several customer environments. There are plenty of fixes coming with the next 2.5 major release. This includes a bug fix for command endpoint message routing, client disconnects when another clients fails (“not signed by CA”) and numerous other bug fixes. One thing which came up – if you have more than two endpoints in one zone, there is a known bug with check result messages. It is currently advised to only have two endpoints until we investigate further on the issue. Last week we’ve fixed a bug in the check scheduler (one of those release critical issues). Right now we are heavily investigating on a possible IDO deadlock and further notification issues. Once these are fixed we’ll happily continue testing Icinga 2 and make v2.5 a stable release you can count on. Our plans target August as release month. Get your hands dirty and help test the snapshot packages! Not much to say this time about the web framework. There is some consolidation work going on with official modules under the hood. The Icinga Director is under heavy development as always. Follow its development closely on Github and the issue tracker. Under the hood the developers are working on bug fixes and integrating new features such as syncing git tags and releases or fixing the tag search. An upgrade of the live system is expected soon. Team Icinga will also attend OSMC in late November accompanied by lots of cool talks related to monitoring and Icinga. The Icinga 2 book (currently German only) gets a lot of nice feedback. The two authors Lennart and Thomas told us that they are in contact with the publishers to create an English version as well. For those waiting for an ebook – now available (again, German only). 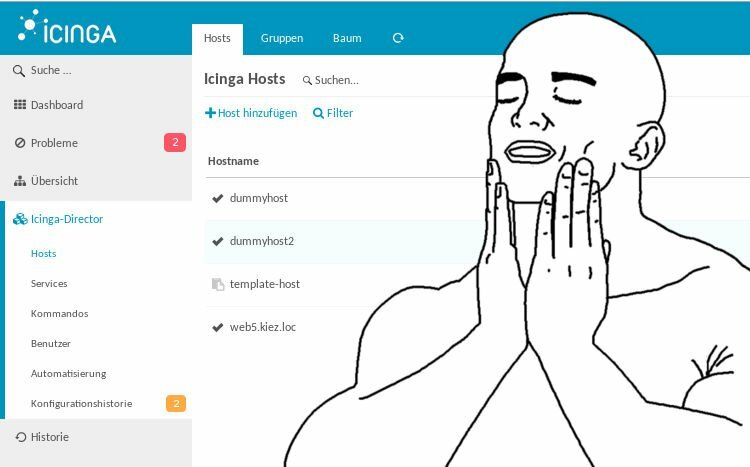 Moving from Nagios to Icinga 2 – a journey worth a look? Even if you don’t speak German you should definitely follow her blog posts. So much good feedback – and Marianne is also actively reporting issues. Thanks a lot for your appreciation! Jens is actively migrating the current Icinga 1.x environment to Icinga 2 at Müller. Most recently he discovered the possibilities of the Icinga Director. The upcoming Nagstamon 2.0 release features Icinga Web 2 support. Kindly test and give the developer feedback! I'm happy to officially join the @icinga team today!